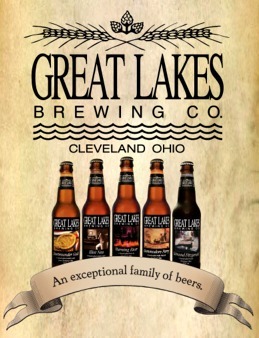 Not everyone knows it, but Akron is home to several high-quality breweries, with national and regional reputations; one (Thirsty Dog) has already indicated that they need further room to grow. Separately, none of these operations are huge. They all include production facilities and Tasting Rooms, where customers gather to sample their products and enjoy food and entertainment. Currently, most of them are spread out all around the city. Every time I drive past the old Goodyear World Headquarters and factory, which is being redeveloped as the landmark East End project, I can't help but thing what a natural location this would be for a Brewery District. Gathered together, these breweries could create a strong destination attraction—a Brewery District—that would enhance the marketability and appeal of the East End location, allowing these brewers to use their “strength of numbers” to pull visitors from many areas. 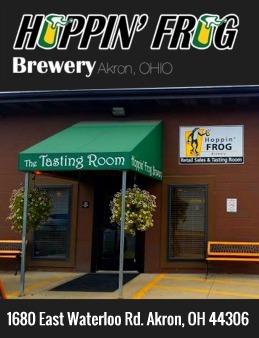 A while back, I spoke to Fred Karm, owner of nationally-recognized Hoppin’ Frog Brewery, and his initial response was that he might be interested in such a concept, and could see some advantages. Of course, it would have to make economic sense, and some incentives might be needed to make it happen, but he seemed to find the idea appealing. I have also spoken to our current Mayor, and while he thinks it's a solid idea, the city has limited resources to get behind such a plan right now; what's more, we'll have a new Mayor come next January, and it's hard to get anything going during an Election Year. Nevertheless, it's an idea worth pursuing and one that I feel the developer, Stuart Lichter's Industrial Realty Group, should take a hard look at. 3) Easily accessible from The University of Akron, too—by bus or bike. Some cities who have similar districts even establish a “brewery shuttle” – low/no cost trolley service to district from popular destinations. 4) A successful brewery district would also be an advantage for attracting out-of-region craft breweries to locate to Akron. The city could get in the game with other regional brewers who may want to expand their operations into the Midwest. 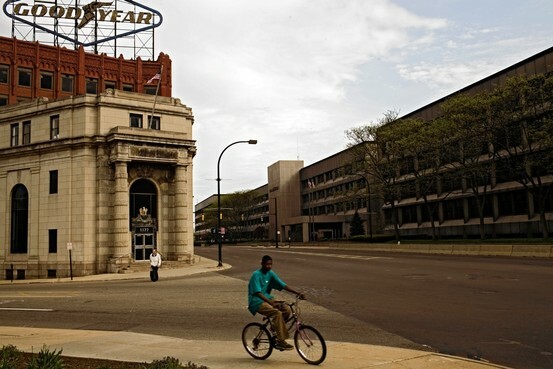 5) A district here offers a nice geographic balance to a popular area like Highland Square. While that area is certainly a natural for craft-beer loving Hipsters, there’s really no room for new breweries there. East End is about the same distance from Downtown, easily accessible by public transportation, and long term, provides an additional working/living option for that demographic. Over the coming weeks and months, I'll be talking to more people about this--it seems like too good an idea to pass up.